Use this free Christmas stationery to add an extra special touch of fun or elegance to anything you print or write this holiday season. This free Christmas stationery can be used for Christmas newsletters, letters from Santa, Dear Santa letters, or any other correspondence or notes around the holiday. You can print your Christmas stationery on regular computer paper or on cardstock. Change the color of your paper and you'll have a whole new look. After you've printed the Christmas stationery, you can hand write on it or print text on it. You can do this by putting the stationery back in your printer and printing on it again. Just be sure to use print preview to make sure it looks the way you want. Other Christmas freebies you might like include printable Christmas cards,​ Christmas card templates, Christmas fonts, holiday clip art, and more printables. This free Christmas stationery has "From the Desk of Santa Claus" at the top with "Sant's Workshop, North Pole" at the bottom. It would be perfect for a letter from Santa but really would work for anything during Christmas time. 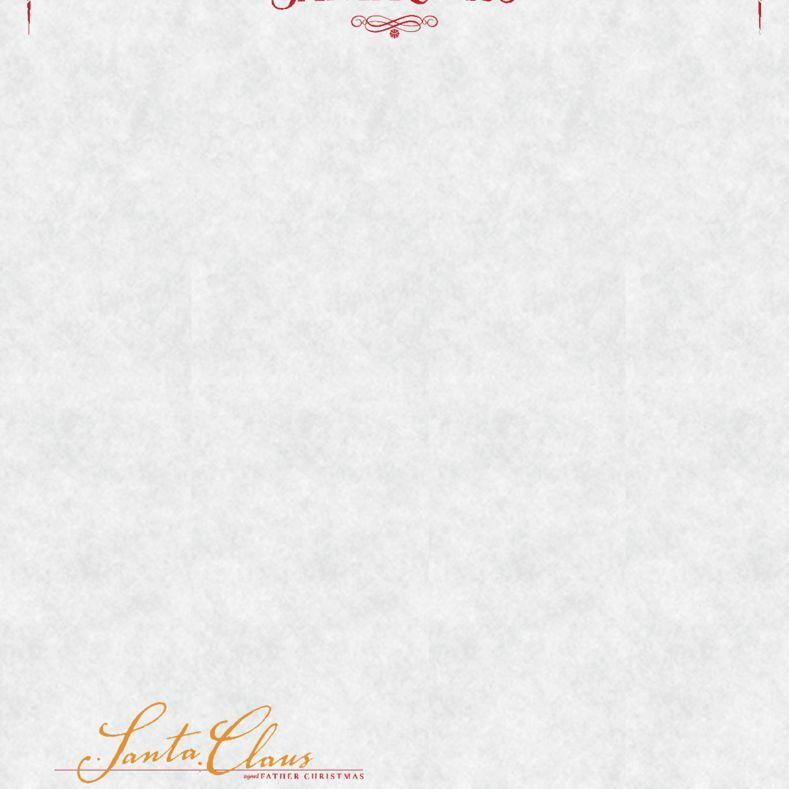 You can download this Santa stationery as an editable PDF file that you can add your message to before printing. 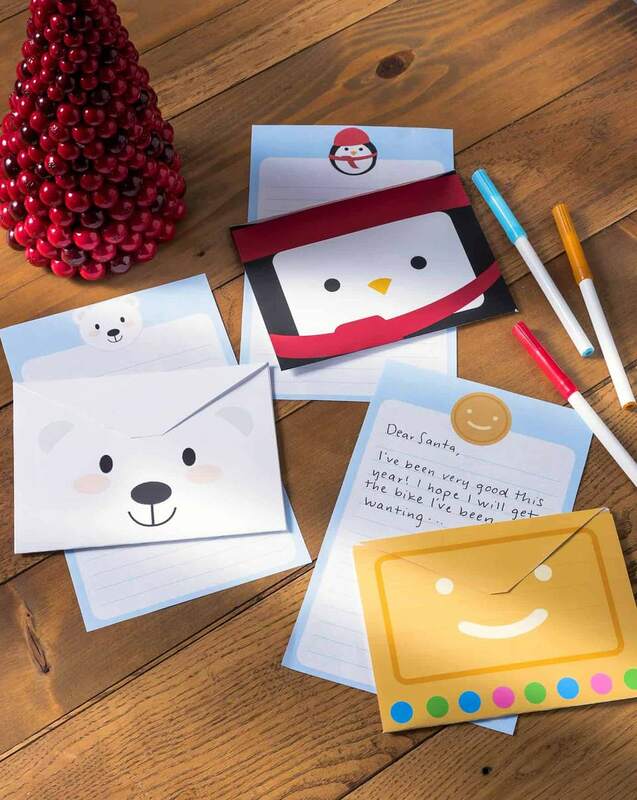 The kids are going to love this Christmas stationery sets! The set includes a polar bear, a penguin, and a gingerbread man writing papers along with matching envelopes. The envelopes take a little bit of assembly but they're so easy that the kids can even do it. Take your Elf on the Shelf fun to the next level with this red and green Christmas letterhead from I Should Be Mopping the Floor. Elf feet decorate the top along with the phrase "From the Department of The North Pole Elves" for a lot of Christmas fun. This simple Christmas stationery says "joy" with snowflakes in red, green, and blue. It's very easy to download, just click on the link and then print out the PDF. There are more than 30 other free Christmas stationery templates there that range from modern to more traditional. Holly and berries in deep green and burgundy decorate the corners of this Christmas writing paper. You can download this as a PNG file and then save or print. You'll find some other Christmas stationery here with evergreen trees, snowmen, cats and dogs, Santa, snowflakes, nativity scenes, and more. This Christmas stationery features Rudolph in one corner all tangled up in lights, and the other reindeer in another corner, patiently waiting for Rudolph to come to guide the sleigh. This Christmas stationery can be printed lined or blank and even has a matching envelope you can print. You'll find other printable Christmas stationery here adorned by Santa, elves, reindeer, Christmas trees, lights, and the phrase "Merry Christmas." Santa is the star along with a Christmas tree and gifts in this free, printable Christmas stationery letterhead. This printable stationery is lined and can be written on after its printed. This Christmas Eve stationery is drawn with colored pencils and has a nice soft look to it. It features different animals gathered around decorated trees in the forest celebrating Christmas. You can use to write a letter, jot down notes, or even write a Christmas list. All of the Christmas stationery here opens as a JPG file that you can print directly from your browser.